Joan Vondean Green Wycoff passed unexpectedly from this earth to her eternal home on March 15, 2019. Joan was born April 4, 1947, at Altus, Oklahoma, to Tom and Mary Bearden Green. Joan's childhood was filled with happiness, music, and love. Joan attended school at Duke her entire childhood where she excelled in academics, made many memories as Queen of the Duke Riding Club, and made life-long friends. After graduating Salutatorian from Duke High School, Joan studied history and art at Southwestern Oklahoma State University. It was in Weatherford, that she met the love of her life, George Wallace Wycoff. George and Joan were married on August 24, 1968, at Duke, and would spend over 50 years together. George and Joan had a marriage that was an example to everyone who was close to them up until the moment of her passing. Their dedication, love, commitment, and kindness toward one another never faltered. This relationship was built upon a mutual love and respect, and its foundation was enjoying the good times together and helping one another through the hard times, including the loss of three infant boys. However, Joan would tell of how God had a plan for their lives, as He sent them a daughter, Rana Wycoff Womack, who Joan loved beyond measure the entirety of her days. Joan and George gave their daughter love and happiness, and they never missed any activity that Rana was part of. They were fixtures at every game, chaperones at countless trips, Class Parents, and worked behind the scenes at home to help ensure their child had every tool needed to be successful at life. Joan's passion in life was her family, and her two grandsons, Lane and Lance, were the light of her life. From picking the boys up from school each day to attending all of their school and sporting events to having their weekly overnight stay, her influence will live on through her grandsons. Living across the street from her daughter, son-in-law Alan, and the two boys made it possible for them to see each other daily. Joan especially enjoyed vacationing with her family, including the 50th Wedding Anniversary "memory trip" that they took last summer. Joan's other passion was children. She spent 33 years teaching other people's children and she was greatly respected by her peers. Joan "came out of retirement" to continue her tradition of writing, directing and playing piano for the Duke School Christmas Program the last two years. Joan's talent for writing and composing was known well in the Duke community. After retiring as an educator in 2003, Joan began working at the family business started by her parents over 60 years ago, Southwest Oklahoma Telephone Company (and SWOI). Joan was a member of PEO, Town & Country Club, and the Duke Chamber of Commerce. Joan was very young when she accepted Jesus Christ as her Lord and Savior. She was a lifelong member of the Duke First Baptist Church, taught youth Sunday School and VBS for many years, and took over the role of teaching the Lydia Sunday School Class upon her mother's death. Joan is preceded in death by her parents; Tom and Mary Green; her son Timothy Michael Wycoff; George's parents, Charlie and Lila Wycoff; and sister-in-law Jane Green. 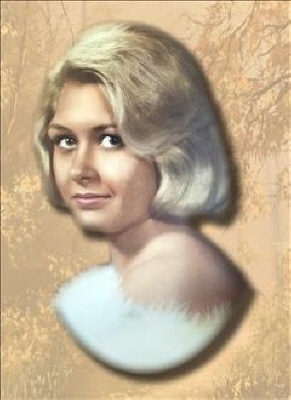 Joan is survived by her husband, George Wallace Wycoff, of the home; daughter Rana Wycoff Womack and husband Alan; two grandsons, Lane Alan Womack and Lance George Womack; brother Brian Donivan Green; nieces Becky Combs and husband Phillip, and Michelle Jacobsma and husband Dan; Alan's mother, Linda Sue Warren; and a host of family and friends. To honor Joan's lifelong love of children and education, donations may be made to the Duke School Foundation. The family will receive friends at Visitation from 6:30 pm until 8:30 pm on Sunday evening, March 17, 2019 at Lowell-Tims Funeral Home in Altus, Oklahoma. Funeral services will be at 2:00 pm on Monday, March 18, 2019 at the Duke First Baptist Church in Duke, Oklahoma with Brother Ralph Chapman and Brother David Wilson officiating. Interment will follow at the Duke Rock Cemetery, North on HW 34 and 1 Mile West on 1590 Road, Duke, Oklahoma. To send flowers or a remembrance gift to the family of Joan Vondean Wycoff, please visit our Tribute Store. "Email Address" would like to share the life celebration of Joan Vondean Wycoff. Click on the "link" to go to share a favorite memory or leave a condolence message for the family.